The Cloverfield Paradox has arrived under dubious circumstances. The first official sign of its existence appeared on February 4 during a Super Bowl advertisement, promising the film would debut on Netflix after the game. It was a bravado marketing experiment. Prior to this ad on the most-watched sporting event of the year, where airtime costs about $5 million for a 30-second spot, there were only rumblings of another Cloverfield film from Abrams’ Bad Robot Productions. No trailers, no posters, no press screenings, no marketing campaign whatsoever. 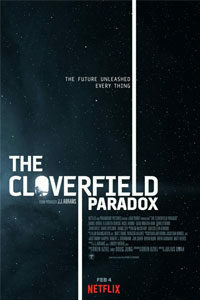 Insiders only speculated whether an Abrams production labeled “God Particle” was the next entry in the Cloverfield franchise. From a publicity angle, the release of The Cloverfield Paradox is revolutionary. It’s a $45 million science-fiction project with notable stars, and Abrams has minimized all publicity to a single evening. The conceit alone has sent the internet aflutter. The other films in the Cloverfield franchise have used similar minimalist promotional efforts to glorious effect. In 2007, audiences of Michael Bay’s Transformers were greeted by a mysterious trailer. The preview showed the Statue of Liberty being decapitated by… something, but the film itself remained nameless. Over the coming year, the internet’s movie community speculated about the unnamed film. 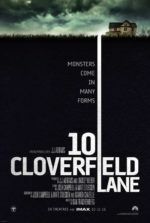 Fuelled by an ingenious marketing campaign, moviegoer curiosity meant Abrams’ $25 million found-footage monster movie, called Cloverfield, earned more than six times its budget from international receipts. And when the world is accustomed to distributors creating brand awareness by advertising their films sometimes a year in advance, Abrams flip-flopped his strategy for his paranoid sequel, 10 Cloverfield Lane. He debuted the first trailer in January 2016 and then, just over a month later, released the film into theaters. The short turnaround meant trailer fatigue never struck potential viewers, which is often the case with today’s protracted campaigns. In both of these earlier cases, the marketing remained essential to pique the interest of viewers otherwise inundated with new content. With The Cloverfield Paradox, the title is truer than perhaps Abrams would like to admit. 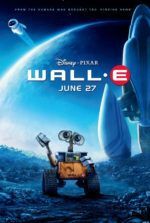 In one sense, the film’s publicity stunt relies on internet fervor and discussion to feed viewer interest. The idea is simple: audiences will be so curious about this mystery film, and the stunt itself, that they’ll immediately switch over to Netflix and watch. The problem is the format. Though Netflix initially set out to counteract the homogenized quality of video stores like Blockbuster, they have quickly become the thing they sought to reinvent. It’s a volume game with Netflix. They have no love for their titles. Each new “Netflix Original,” whether it’s original material or one of the company’s countless acquisitions, is unceremoniously dumped onto the platform and quickly forgotten. Many of their acquisitions seem perfect for the small screen, titles that would probably struggle in multiplexes. But Netflix has given their original content a certain disposable quality—as if they’re not so much dealing in film as product. Of course, every film is a studio’s product, but most studios also nourish their product with care to ensure its success in the marketplace. Netflix treats its product like the rows of direct-to-video titles at Blockbuster. The paradox of the film’s outrageous marketing plan, then, is that while the stunt itself deserves applause, the viewer cannot help but wonder whether the material just wasn’t good enough for theaters. 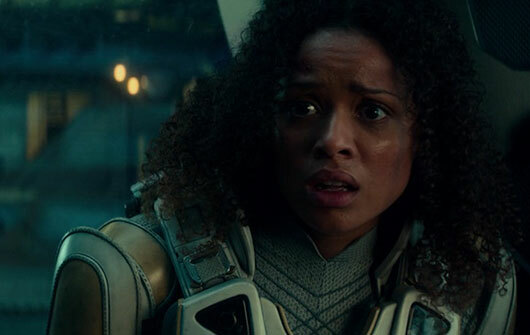 Is The Cloverfield Paradox nothing more than a VOD-worthy dud? At first glance, it certainly doesn’t look that way. The production values are high, and the impressive international cast would draw any viewer. Gugu Mbatha-Raw headlines an ensemble that includes Daniel Brühl, Chris O’Dowd, David Oyelowo, Zhang Yiyi, and Aksel Hennie. Director Julius Onah, in his sophomore effort, follows the pattern of relatively inexperienced Cloverfield filmmakers, after Matt Reeves and Dan Trachtenberg each made their debuts in the franchise. But it’s Oren Uziel’s clumsy scripting that ultimately leaves the viewer feeling confused and dissatisfied. As unwieldy expository news broadcasts explain in the pre-title sequence, the (future) Earth suffers from an energy crisis, and the bulletins make vague allusions to oil wars and a Russian ground invasion. Humanity’s last chance resides in a group of astronauts aboard an orbiting space station trying to ignite a potential unlimited power source, the Shepard particle accelerator. One talking head (Donal Logue) warns that the Shepard may cause the space-time continuum to tear apart, unleashing monsters or destroying the universe. In retrospect, they should have listened to him. When, after nearly two years of failed tests, the team finally succeeds in igniting the accelerator, the Earth disappears. That’s when things start to get weird. At first, the viewer might suspect an epidemic of space madness. Worms appear to be writhing under the skin of one crewmember, while a woman who was never on their crew (Elizabeth Debicki) seems to have been teleported inside of their wall—complete with wires and pipes in her body. And describing what happens to O’Dowd’s arm may be too difficult here, but it’s equally stupid and funny. While searching for answers and trying to repair their damaged station, the crew soon discovers they’ve been transported into an alternate dimension. Mbatha-Raw gives a strong performance as Hamilton, a communications officer with a tragic backstory (she lost her children in a fire). But in this alternate dimension, her children are still alive, and she considers abandoning the mission and returning to them. Meanwhile, back in their original dimension, Hamilton’s husband (Roger Davies), reeling from the disappearance of his wife’s space station, experiences some unexplained monsters that have appeared on Earth—apparently the same creatures from the earlier Cloverfield films. But how did the station being transported from one dimension to another cause monsters to appear? The Cloverfield Paradox resolves to answer this question, but it really doesn’t answer the question at all. With reality going all topsy-turvy, the rules or lack thereof remain inconsistent. Sometimes our astronaut heroes aboard the station use their scientific minds to solve their problems, and sometimes the strange events on the station defy scientific logic. The randomness with which reality decides to break down or remain orderly has been conveniently determined by the screenwriter. Throwaway lines like “This dimension is eating us alive!” explain away the disparities with sloppily applied movie logic. Much of the cast has been confined to one-note roles, though their cumulative presence is welcome. Onah keeps the proceedings fast-paced, with several laughs and shocks along the way. 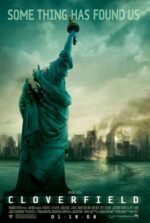 But the scenes on Earth prove dull, and the material’s connective tissues to the other entries in the series render the intended mystery, on which the Cloverfield films thrive, less compelling. The Cloverfield Paradox recalls Danny Boyle’s underseen science-fictioner Sunshine (2007), a much better film, except none of the ridiculous science jargon or theoretical physics makes much sense here, not even by movie standards. Astronauts run about from one crisis to the next, and their thin character motivations cause them to behave in ways we cannot understand. The result entertains, mildly so, but the film isn’t as intelligent as should be or thinks it is.